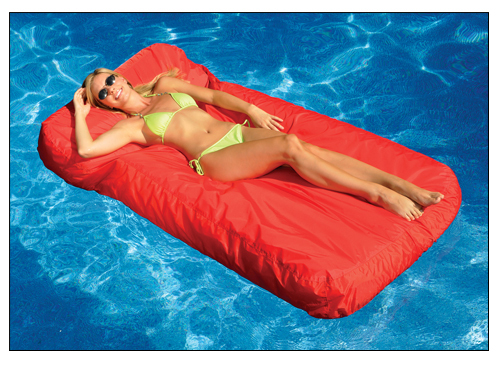 HIGH-END COMFORT IN THE POOL OR ON THE DECK! Sunsoft™ Mattress features soft, cool and comfortable Sunsoft fabric top. Multi-chamber inflation provides adjustable firmness and cozy “bean-bag” feel. Use in or out of the pool. Built-in handle and drain makes removing float from the pool a snap. Product dimensions: 72" x 36" x 10".